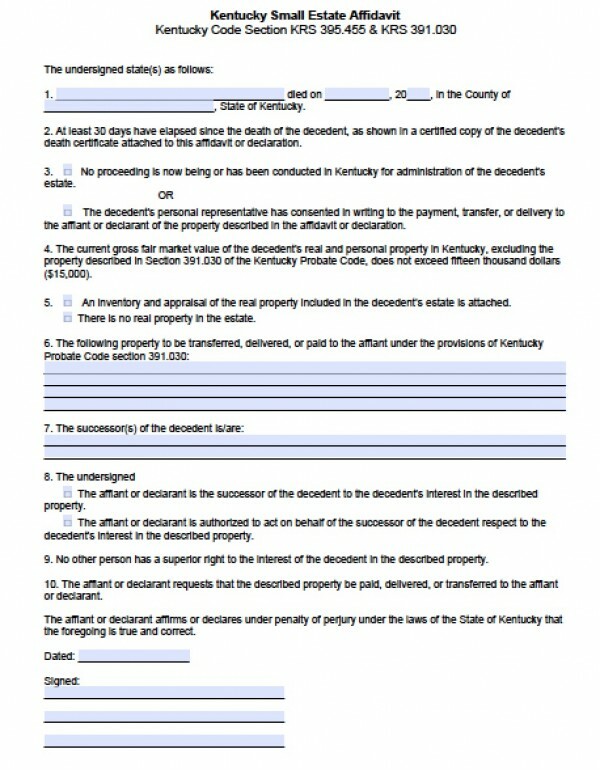 If a Kentucky resident passes away, according to the state’s statute §395.455, successors of the decedent may file a small estate affidavit to claim the decedent’s real estate property. The land or home must be valued at less than $20,000, and the successors must file within the county where the decedent resided. 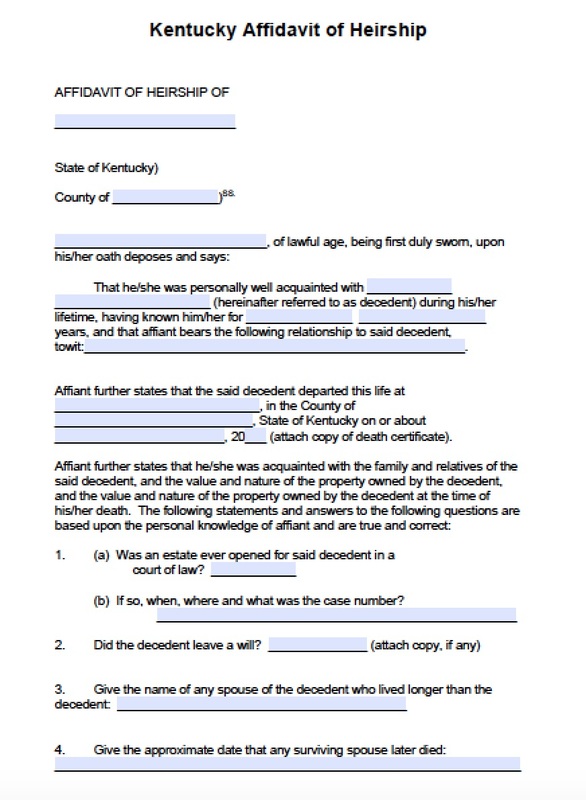 The small estate affidavit may also be filed for a person who died outside of Kentucky if they owned real estate in Kentucky, and may be filed within 2 years of the owner’s passing.